With the holidays quickly approaching, it’s time to get your game face on while you’re listing items. While people don’t REALLY start shopping for items until the cold hits in October, your listings need to be prepared for the changes. The biggest change is eBay’s Holiday Returns, an option that is separate from your typical return policy. 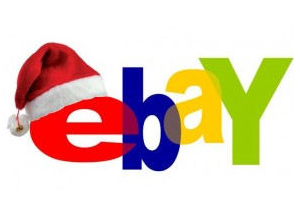 This is why we give you 4 questions answered about eBay Holiday Returns. Any seller can opt-in to the Holiday Returns. This extends your typical return period from (a maximum of 60 days) to now being up to 90 days. Items purchased between November 1st and December 31st will have until January 31st to return items to sellers if Holiday Returns is selected. You can start listing with the Holiday Returns option now, it just won’t show on your listings until November 1st (I’m talking about your Good Till Cancelled listings). The biggest thing you need to know is that as a Top Rated Seller, to receive 20% off of your Final Value Fees as well as a “Top Rated Plus” seal on your listing, you need to offer Holiday Returns. It also requires a same-day or 1-day return policy in order to get the Top Rated Plus seal. What isn’t documented on eBay is the fact that this will increase your Best Match search visibility too. You better believe that after November 1st, most Best Match top items will have that seal on there. If you are not currently a Top Rated Seller, this will definitely assist you with obtaining that status. It’s the psychology and the security for the buyer that it is possible to return an item within 90 days. Does this mean more people will do it? Possibly less than 2% will actually utilize the extended return policy and most people would probably even forget that the purchase is covered until January 31st. Also, most items purchased are not out of selfish ambition but they are cheaper gifts for others that don’t even know about the return policy! Is it worth enabling it? Yes it is.